Before their rooms are taken over by myriad toys, before they can make messes that look like a hurricane struck, you have total control over their space. Before toddlerhood hits and things descend into craziness, make the nursery as beautiful as you can, hanging artful little framed prints, creating vignettes of vintage toys and matching cot sheets to sleeping bags. Some of the most swoon-worthy matching cot sheet sets come from Dwell Studio and the two latest collections, Boheme and Caravan are no slackers in the swoon department. Boheme is inspired by the original 1920s bohemians, and is all gorgeous florals and birds in watercolour shades of coral, saffron and grey. 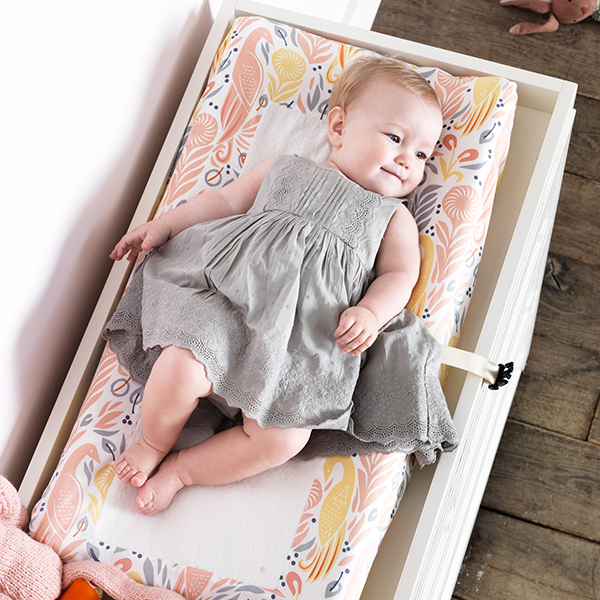 The fitted cot sheet (US$35), bumper and changing pad cover (US$35) all come in the main pattern, and you can accessorise with a reversible dusty rose knit blanket (US$59) or a cross stitch pillow (US$35). The Caravan collection has a menagerie of animals from around the world: elephants, foxes, camels, bears, and comes in a calming palette of pale blue, sage green and grey. 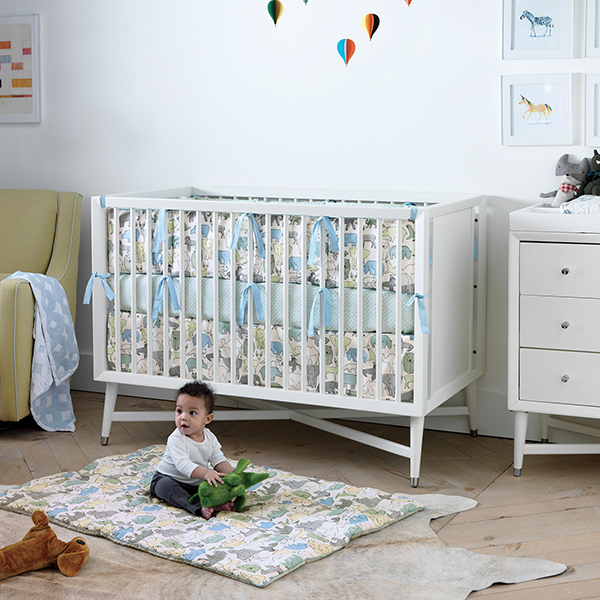 The pen-and-ink style of the print looks grand tucked into the Mid-Century French White Crib (US$799). 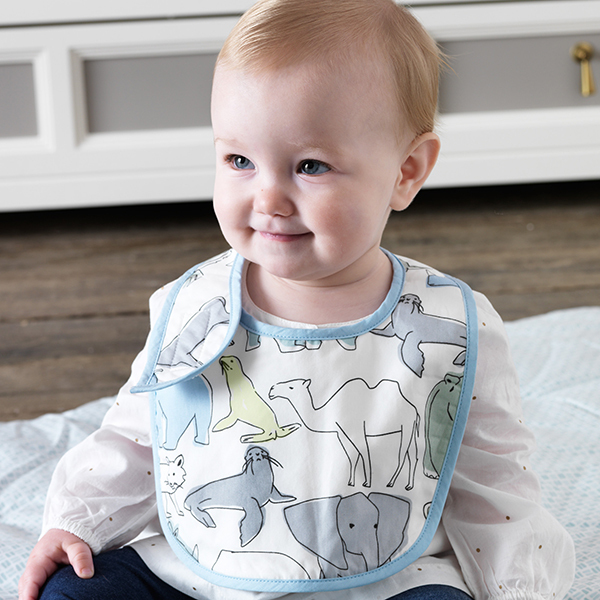 We love this collection so much, we’re happy to take it outside the nursery with the hooded bath towel (US$49), and bib set (US$19). In the days when sleep is scarce and life is mad, the Caravan and Boheme collections bring a bit of beauty to cut through the chaos. Locally, you can find Dwell Studio products at Design Child.